The original Indianapolis Central Library building, located on St. Clair Street in downtown Indianapolis, was completed in October of 1917. 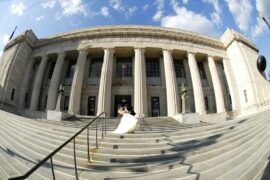 Designed by Paul Cret and built in the Greek Doric style, it is considered one of the most outstanding architectural library structures in the United States. 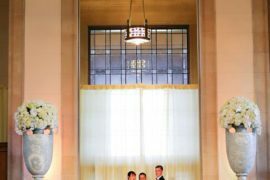 Fittingly, its exterior is of Indiana limestone built on a base of Vermont marble, with carved stone cornices adding to its classic beauty. 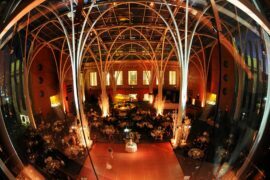 The library has gone through a major expansion and blends contemporary design in the soaring Atrium with traditional architecture in the Simon Reading Room. 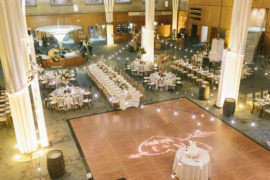 Today, the Central Library is a valuable part of the Indianapolis community and houses multiple unique spaces for special events. 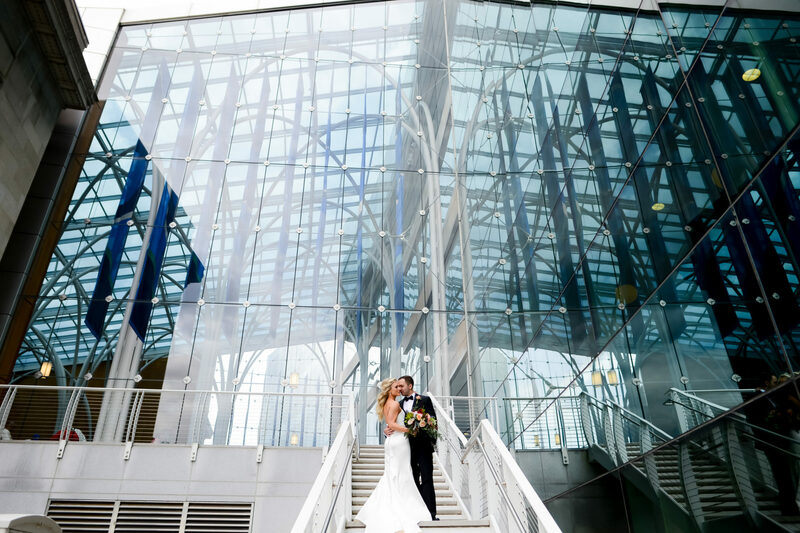 The Atrium is the heart of the library. 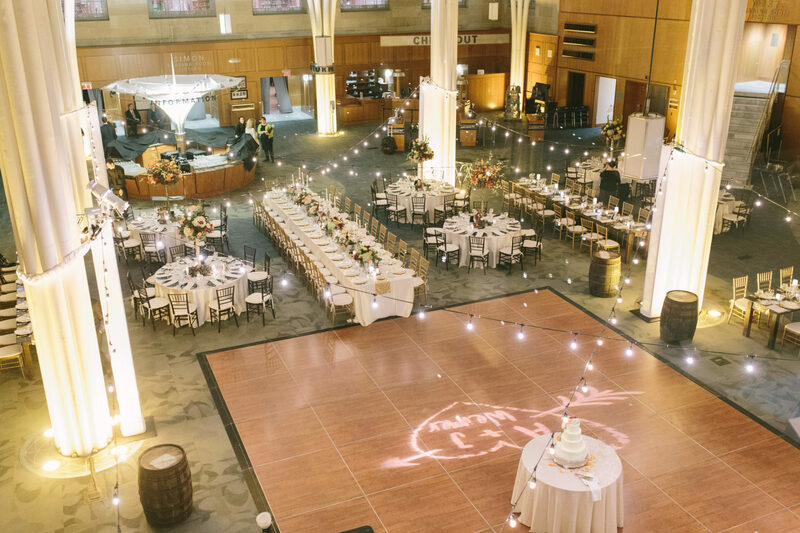 Soaring ceilings and glass walls give the effect of dancing under the stars while enjoying all of the amenities of an indoor venue. 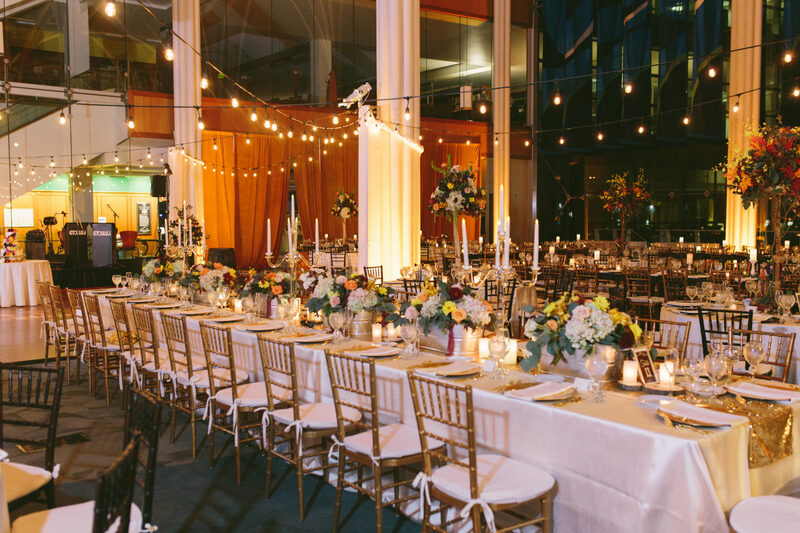 This cozy, outdoor space is tucked away alongside the central Atrium. 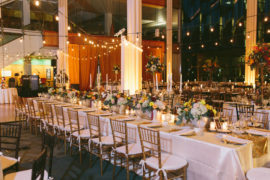 The East Garden includes an oval lawn with walking paths and a large patio, creating the perfect setting for a garden party, cocktail hour or wedding ceremony. 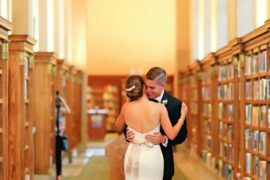 Modern artwork and classical bookshelves come together in this space, creating an intimate atmosphere with spectacular views of the Indianapolis skyline. 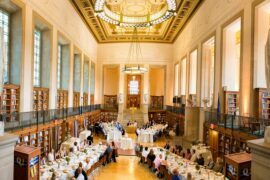 The Simon Reading Room is part of the original 1917 library and is one of the most historic spaces in Indianapolis. 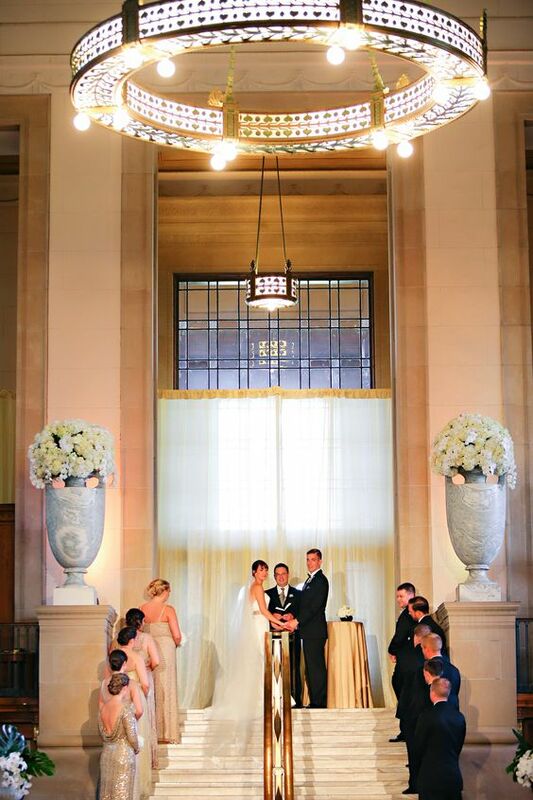 This room with its balcony, classical Indiana limestone and beautiful gilded ceiling is well suited for galas, wedding ceremonies and receptions or for a cocktail hour prior to your main event. 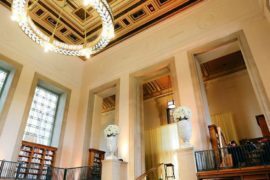 Also part of the original 1917 library, dark oak paneling, chandeliers and a grand fireplace offer a slightly cozier alternative to the Simon Reading Room. 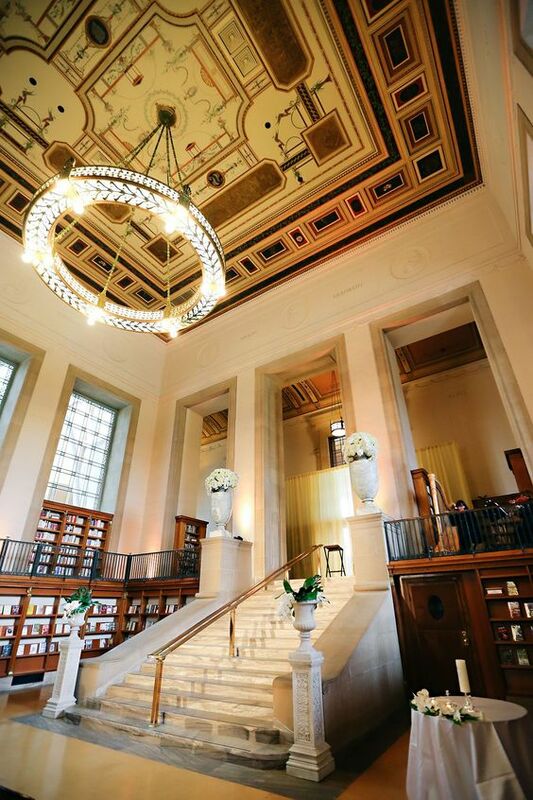 Located just off of the Simon Reading Room, the two spaces are connected by a grand marble staircase and can be easily combined for your event. 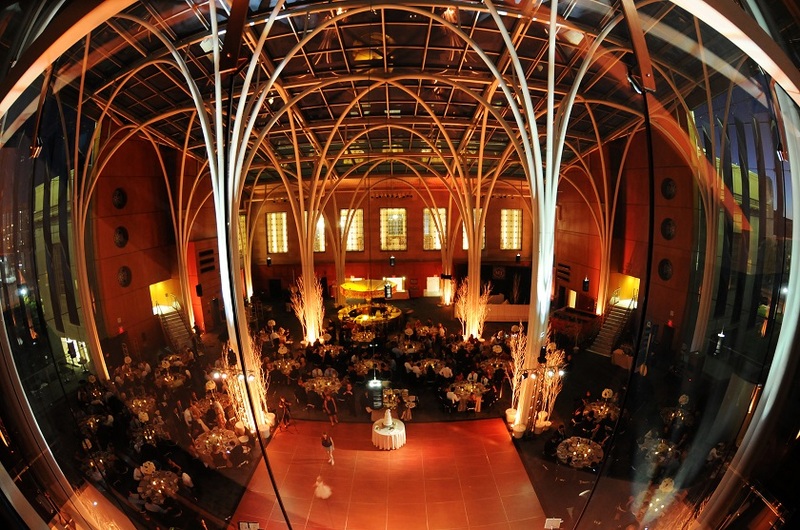 This downtown venue is minutes from Monument Circle, several hotels, restaurants and shopping. 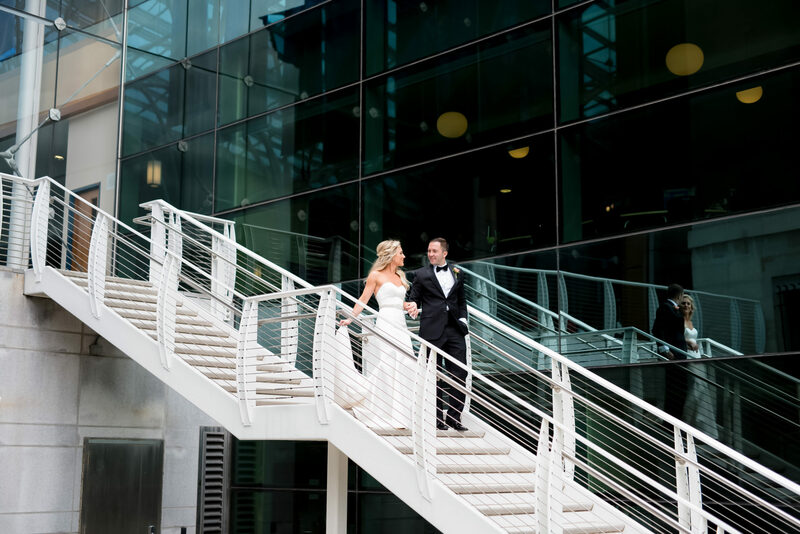 Free parking in the adjacent parking garage is available for you and your guests. Representatives from the Library can assist you with scheduling a tour and checking availability. 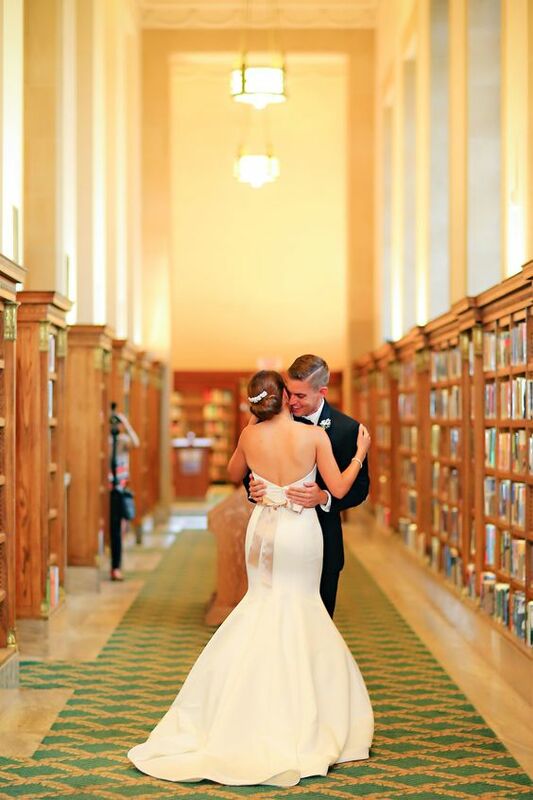 Once booked with the Library, one of our Event Specialists will begin working with you in designing your dream event!